SR Services Ltd (SR) is a family run business set up in 1993 to serve the local construction sector and have since rapidly evolved to become one of Malta`s leading importers and distributors of specialised construction and industrial equipment dealing in all kinds of machinery and products related to the building and construction sectors and representing reputable international, first class equipment manufacturers. SR have since penetrated various overseas markets and have been very active in Libya and the Middle East in particular, where they now enjoy a long list of important, satisfied and elite customers in the construction, waste management and oil and gas sectors. With its team of qualified and factory trained engineers and technicians , SR are fully committed to providing excellent service to all their local and foreign clientele, aiming to provide the best quality products at the most competitive of prices, whilst guaranteeing the best support and after sales service they can offer. Contact us today and become our partners. Experience our impeccable support and service that made us who we are today. 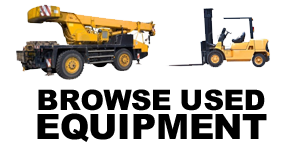 Share and exploit our experience, expertise and knowledge of the world`s construction equipment manufacturers, from whom we only source the best brands and products.